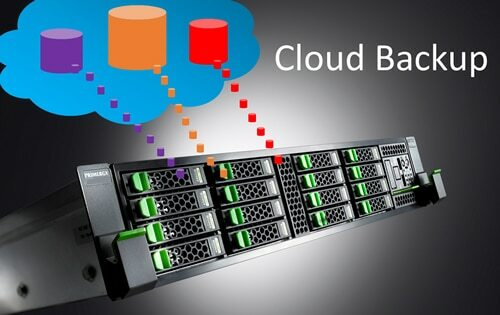 Why Choose a Cloud Backup Service? A cloud backup service regularly backs up data and stores the information offsite in the cloud. Should a disaster strike you still have access to your cloud backup from anywhere in the world. Now more than ever data needs to be backed up and secured considering the increase in Malware attacks to infect and disable computer systems and then either delete or encrypt your data i.e. Ransomware. Not only is this a major concern for businesses globally but also the amount of data generated 24×7 is growing at 40-60% per annum. Clearly, the traditional method of backing up once a night is no longer an option. As I write this now at midnight using Office 365 my data is saved to the cloud. I do not have to worry about backing up to tape and sending a tape or disk offsite, even replicating data to a DR site no longer applies. The cloud operates 24x7x365 and provides businesses global access to data and applications. Information today is not only stored on a local file server or NAS it is stored on a wide variety of computer systems including mobile phones, computer tablets, desktops, the cloud as well as the above. The reason data is now more distributed than ever is increased disk capacities 10TB+, mobile access to information, a more mobile workforce and increased computing power through mobile devices. The traditional method of backing up just the Servers/NAS/SAN does not work in the 21st century. Whilst Microsoft provides a backup for this information, by default deleted emails and mailboxes are unrecoverable after 30 days. It does not protect against accidental deletion or an employee maliciously deleting files in addition to this Microsoft recommends using a 3rd party tool for backup. Spending countless hours searching for a misplaced file or attempting to recreate a deleted document, why not just restore the data with a simple tool and get back to work in a matter of clicks? Instead of managing and configuring several settings for deleted items, recoverable items, and more for each application within Office 365, you can easily ensure that all data in Office 365 is backed up and recoverable using a cloud backup service. Companies rely on having a datacentre to run their business involving air conditioning, UPS, rack space and power. In the datacentre installed with the above are the servers, network switches, disk storage and backup system. To backup and protect these systems you need software licenses, tape or disk and a support contract. These backups typically run once a night, next day logs are checked and any errors corrected. Backups are normally taken offsite or replicated to a remote DR site. With a cloud backup solution, this is done automatically. Depending on the type of cloud backup solution you need you could save thousands of pounds per year in just maintenance and support costs. We provide reports of how well your backups are performing and alert you of any issues. We provide a robust and reliable cloud backup service to protect your complete enterprise and secure your data offsite. Our Office 365 backup solution for a single user works out to be <10p per day and this includes unlimited data protection. For servers, we completely protect both physical and virtual servers residing on VMware or Hyper-V and all the associated applications, you can even spin up your VM in the cloud for 30 days whilst you rebuild your datacentre. A localised backup resides at your site enabling you to restore systems in the fastest possible way and this information is then replicated to the cloud. Our cloud backup service portfolio of software products fully encrypts data, is resilient, secure and competitively priced. Unlike a traditional backup solution that needs months of testing/planning and additional hardware or software, our solution can be backing up i.e. Microsoft Office 365 or G Suite in less than 30 minutes from downloading the software. The old ways of accessing and protecting data are gone and they’ve lost a lot of control that they once had over how backups were taken and processed. Perhaps it’s time to ask whether backups are still required for your tenant. If you decide that backups are needed, look for a vendor who can handle the complexities of Office 365 with a minimum of fuss. To ensure you are completely happy with any of our cloud backup products we provide fully functional software for you to test in your environment. Would gladly like to meet with you to discuss options and solutions. Traditional ways of accessing and protecting data are changing, IT administrators are constantly battling to provide a secure way to backup data, unfortunately, they are losing a battle over how backup is performed and managed. Perhaps it’s time to consider a reliable backup cloud service that works in an instant is constantly evolving to protect new applications and services. If you decide that backups are needed, look for a vendor who can handle the complexities of backup and more importantly restore with a minimum of fuss. If you would like to know more please call us on 01256 331614.